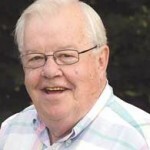 As the farm market year comes to a close, I would like to give kudos to Cliff and Nancy Hill. They faithfully set up shop at the farmers market in June, July and August to collect e-mail addresses for voting purposes. Due to their dedication, Rockford came in first place to win as America’s Favorite Farmers Market. 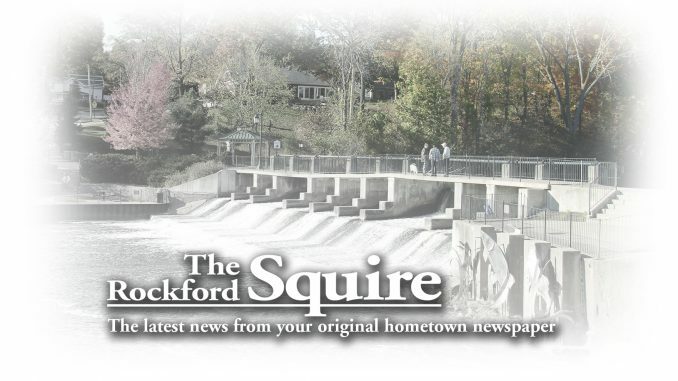 What an honor for all of Rockford, not to mention the farmers, bakers and popcorn makers. I know I am looking forward to next year at our favorite farm market to buy the freshest homegrown foods in the state. 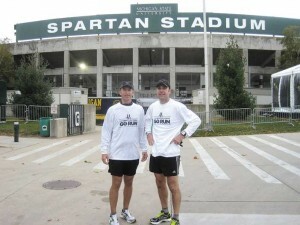 Tim Klaes ran from Forest Hills Foods in Cascade to Spartan Stadium in East Lansing. I want to thank everyone for your support, both financially, and for the notes and calls offering encouragement toward completing this run to benefit the Wounded Warrior Project. 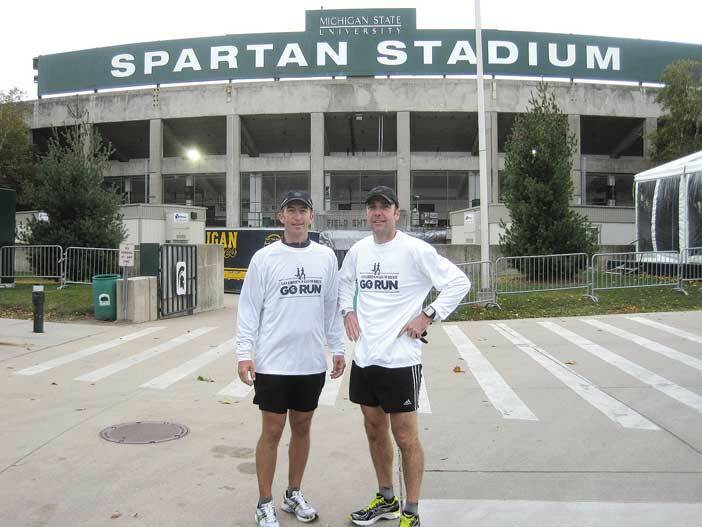 We started at 5 a.m. on Friday morning from Forest Hills Foods right here in Cascade, and finished 62 miles later at 4:54 p.m. at the north end of Spartan Stadium in East Lansing. It was a long, windy day but fortunately the 20-30 mph winds were at our back just about the entire way. I found myself reflecting often during the run on how fortunate I am to be able to undertake an adventure like this. In the later stages of the run when my legs were sore, I thought of how minimal, and temporary, that pain was compared what so many of our veterans deal with on a daily basis. Thank you for being a part of this cause. Your support made a huge impact! To date your donations to the Wounded Warrior Project for this event total about $3,500 between the website and the checks I have received! I am awed by the support you have given. 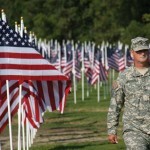 I hope that this run has helped increase awareness of the Wounded Warrior Project and their mission. I hope that you will continue to support the cause in the future.